The advantages of the incredible reach of the social media are there for all to see. But it has its terrible victims too. The experience of a 50-year-old ill and disabled Delhi Police Head Constable, how a misleading upload on the YouTube irreparably destroyed his life and career makes him one of the worst victim so far. 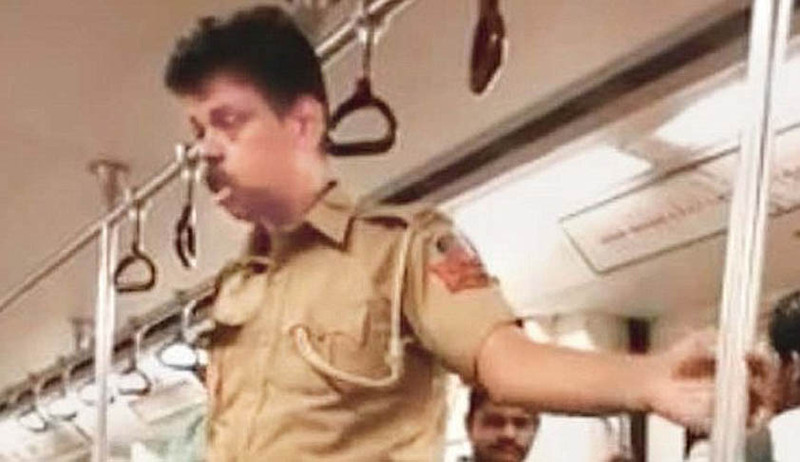 Salim P K, the cop who figured in the recent YouTube video -‘Drunk Delhi police man on Delhi metro-Funny’ which went viral in India and abroad and was expectedly lapped up by the print and electronic media majorly, has moved Supreme Court complaining about the worst kind of defamation one can suffer through the social media and has sought compensation. Salim, a native of Kerala and posted with the Civil Lines police station decided to move court after his suspension was withdrawn and he was reinstated in service within two months of the clip going public. A police enquiry and verification of his medical records found he was not drunk on board the metro on August 19, 2015, but his disorientated state was the result of some acute health problems and partial disability. In a petition filed through his lawyer Wills Mathew, Salim is seeking compensation for his “irreparably maligned image in the eyes of the public”, immediate removal of the 37 second clip from the YouTube, curbs on uploading of such misleading clips in the future and steps from Delhi government, Police Commissioner, Delhi Metro Rail Corporation and the Press Council of India, to “regain his lost dignity by publishing the correct factual position in some prominent places, print and electronic media”. Speaking to LiveLaw Advocate Wills Mathews said, “When the video went viral and Salim was suspended, it was front page news and when he was taken back not a single newspaper or TV channel carried it. In the eyes of the general public the petitioner was drunk in the metro and he is still under suspension”. Seeking immediate intervention by the supreme court, Mathews said in the petition: “the only option for the petitioner was to live and suffer in silence as it is humanly impossible for him to locate the source of the video, or to take legal action against the thousands of print, visual, social media, particularly when the petitioner himself is half paralyzed , with serious economic, health, emotional, and physical disabilities with failing health, who has to take care of his wife who had a serious heart attack after this incident along with the father of the petitioner aged 87 who is paralyzed for the last more than 5 years”. “Right to live with dignity and reputation is a fundamental right and a part of Article 21 of the constitution of India. The right to life includes the right to live with human dignity. If a man is to preserve his dignity, he has to live with honour and reputation. In the present case the petitioner lost his dignity due to the uploading of the video of the petitioner with wrong and misleading titles”, said Mathews. On the evening of August 19, 2015 Salim felt terribly sick at work. But he decided to stay on till the duty ended at 9:30 PM. A heart patient with several other serious disorders, he had put in long hours and also had not taken all the required medicines on the previous day. Salim had suffered a major stroke and a block in brain three years ago leading to brain hemorrhage that left him with a paralyzed left side of his body, with contorted face along with memory loss, body weakness, difficulty in normal communication. He was repeatedly hospitalized and also suffered occasional seizures. He was on total medication with regular medical checkups. After boarding the metro he suffered a fresh bout of blackout and felt so dizzy that he had difficulty in even locating the doors of the train. Salim began to swing inside the train and when it came to a halt at the Azadpur station, he lost his balance and came crashing down on the floor. But little did Salim imagine that he would soon make national and international headlines for the wrong reasons. The entire episode on the train was being filmed by a passenger and uploaded on Youtube shockingly depicting Salim as a drunk cop who had boarded the metro. Police Commissioner B S Bassi suspended Salim and sought an explanation for his “conduct”. “The uploading of the said video with wrong misleading titles in social media making a joke out of it, which was published by almost all television channels and newspapers throughout India and abroad, all leading to a situation seriously prejudicing the normal dignified life of the petitioner. The petitioner was suspended, followed by departmental enquiry by Delhi police but was later on reinstated with all benefits . The petitioner was forced to leave Delhi for treatment under humiliating circumstances and have taken steps to take voluntary retirement because of his failing health”, said the petition.